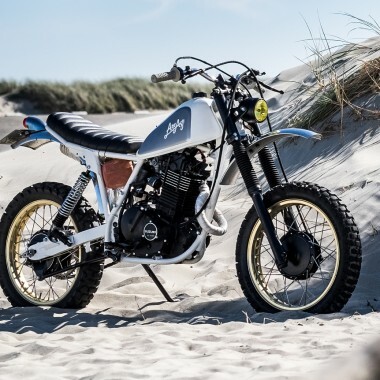 A street-legal tank-shift racer built in honor of the first-ever AMA Grand National Champion! 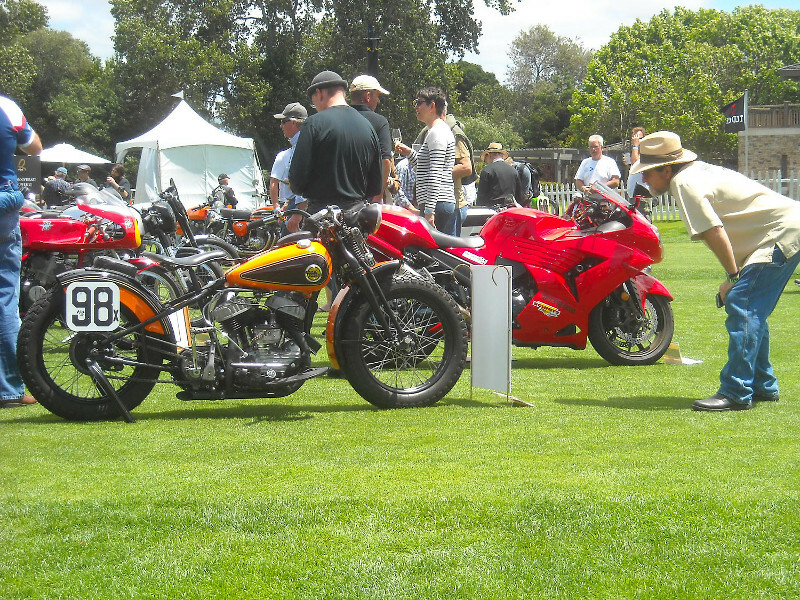 In 1954, the AMA created the Grand National Championship, a series which featured five types of race circuits: four dirt tracks and a paved road course. 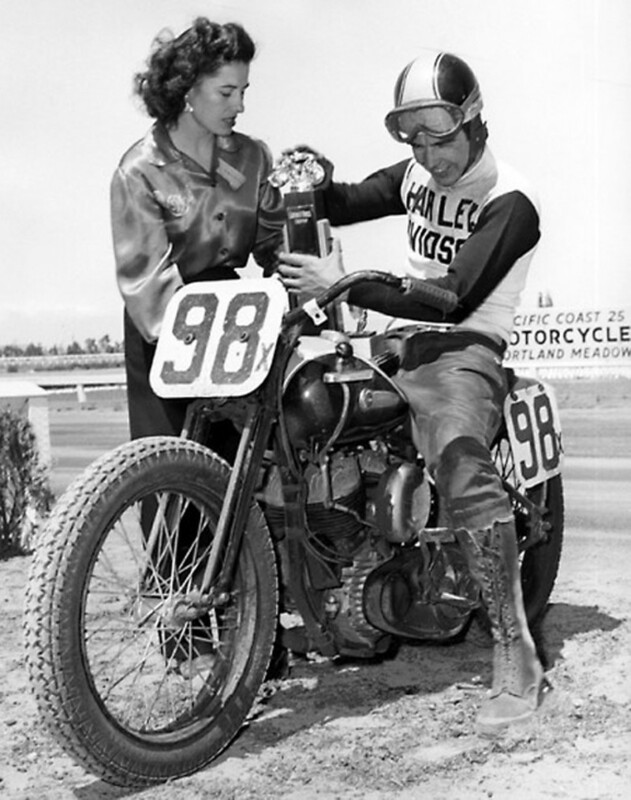 California racer Joe Leonard won the very first Grand National Championship in 1954 on a Harley-Davidson and went on to win the 1956 and 1957 championships. 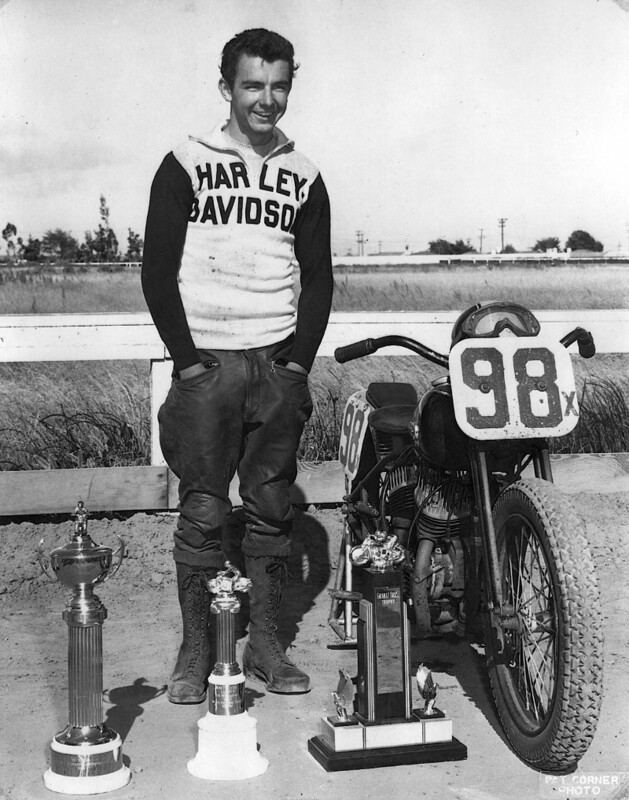 Enter Frederick Fortune, a graphic designer in San Francisco who worked for another Harley flat track champion of the 1950s, the late Larry Headrick, who won the 1950 dirt track championship before a street accident and injured leg ended his racing career. No stranger to building bikes from scratch, Fortune decided to build a period-correct, street-legal WR / WRTT race bike in honor of Joe Leonard and those early days of the Grand National Championship. Below, we get the full story on the build! 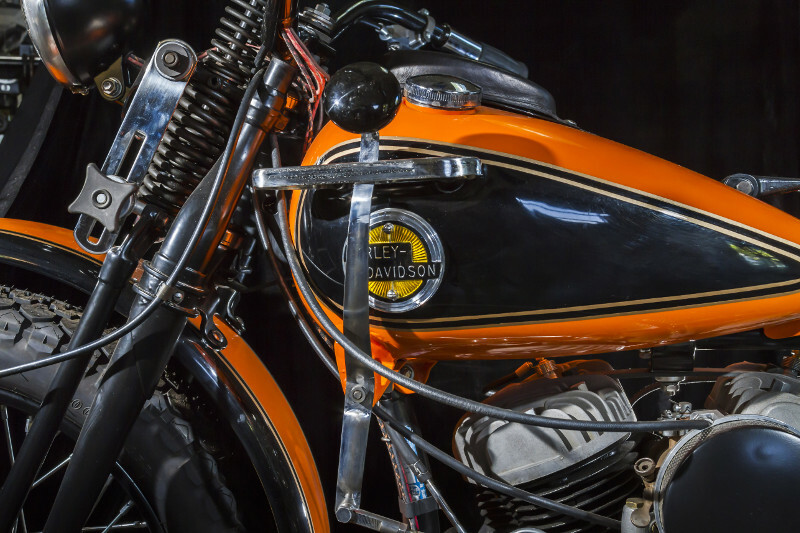 Introduced in 1929 as the Model D, the Harley-Davidson Model WL — better known as the “45,” signifying its capacity in cubic inches — skyrocketed in popularity when the USA’s entry into WWII created an unprecedented demand for the military version, the WLA. 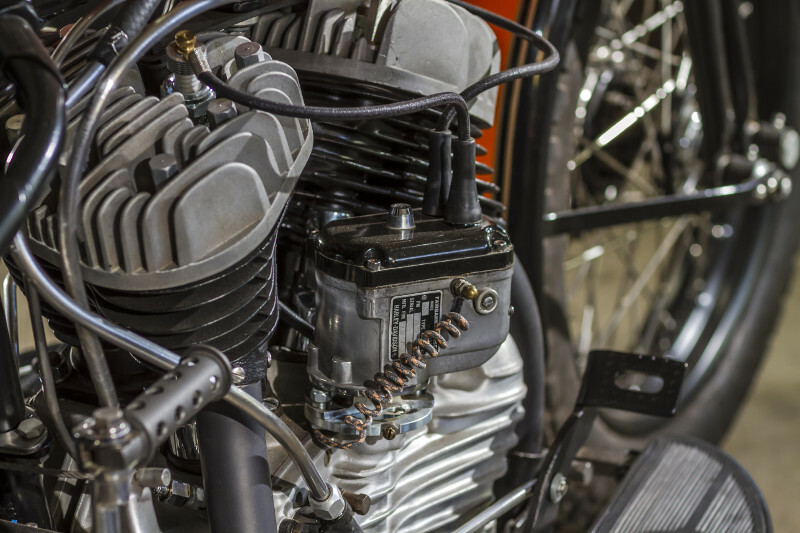 The WL solo’s 750cc flathead sidevalve engine would turn out to be one of the longest-running Harley motors in history, ending its days in the 1973 3-wheeled Servicar and eventually evolving into the Sportster Flathead, Ironhead, and Evolution motors. 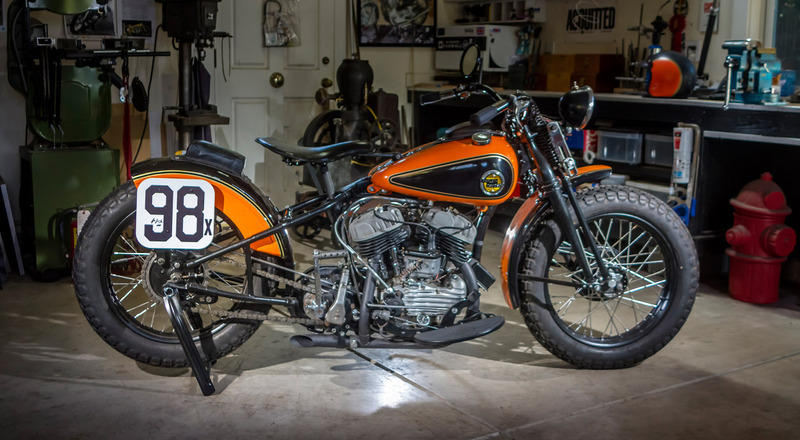 Before and after the war, a hot-rodded version of the 45 enjoyed considerable success in American flat track racing following the AMA’s 1937 introduction of Class C for 750cc production-based motorcycles — a class intended to make racing more affordable for ordinary enthusiasts. 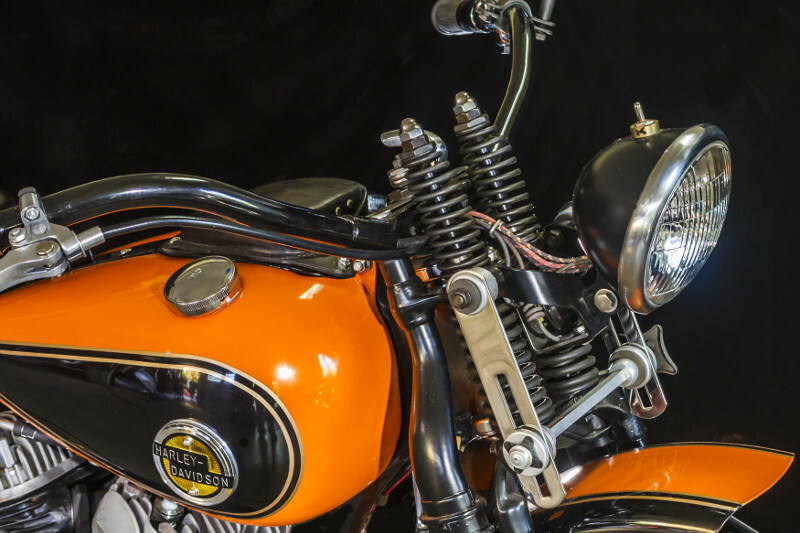 Indian’s Sport Scout set the initial standard but Harley was quick to follow, introducing ever more powerful versions of the 45, culminating in 1941 with the arrival of the first 45 built specifically for racing: the WR, which was available in dirt track and WRTT road-racing forms. 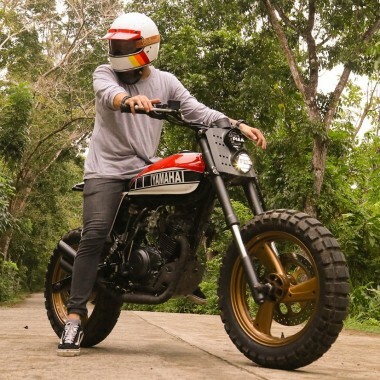 The WRTT had floorboards and a front brake unlike the Flat Track WR bikes. 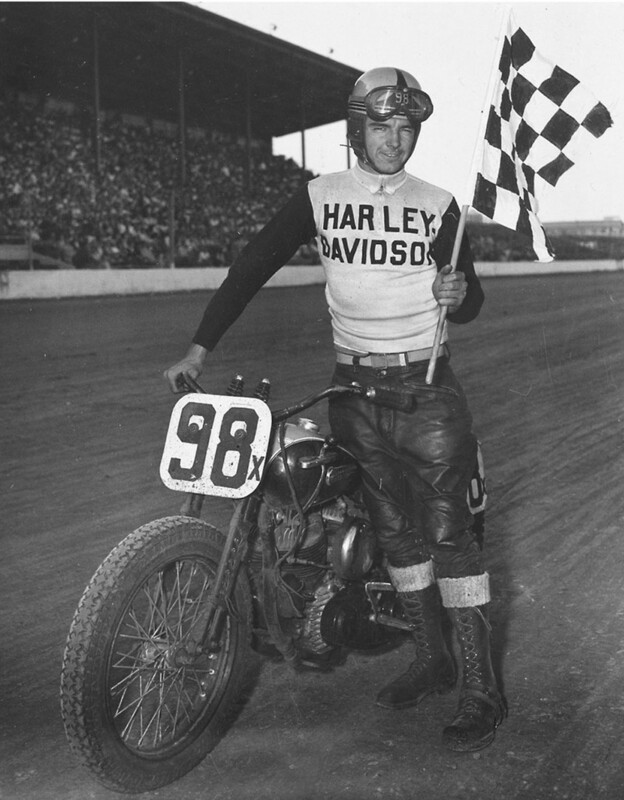 With the tuning of the legendary “The Patron,” Tom Sifton, the WR Harley ruled the tracks. 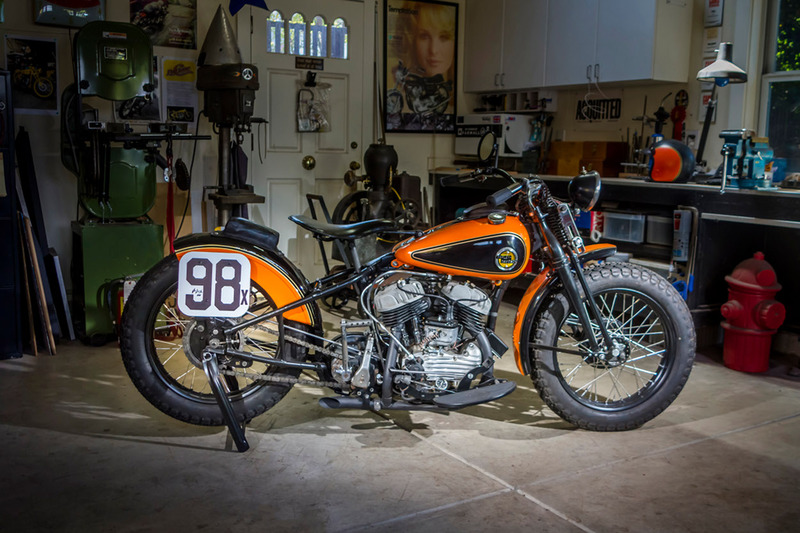 In 1948, the WR won 19 of the 23 National events, including a dominant performance at Daytona in which seven of the top 10 finishers rode H-D bikes. 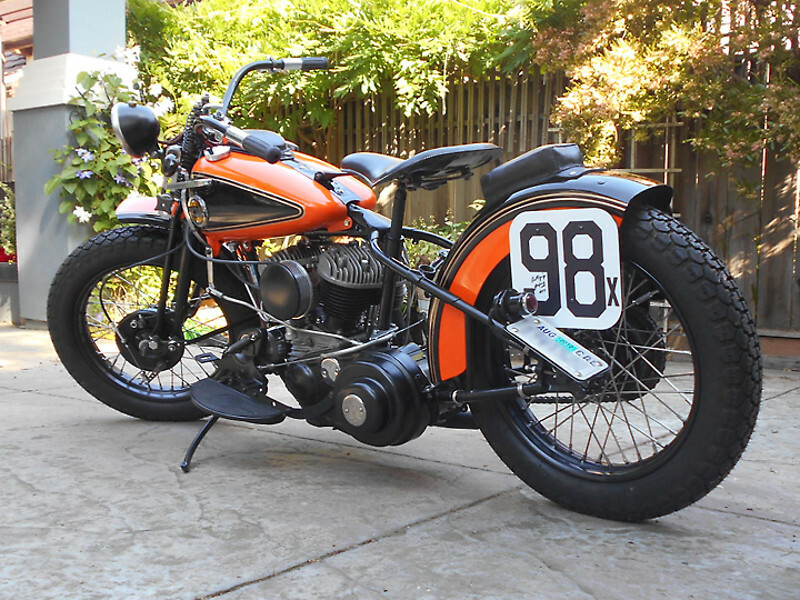 In 1949, Harley-Davidson’s WRs won 19 out of 24 National races. 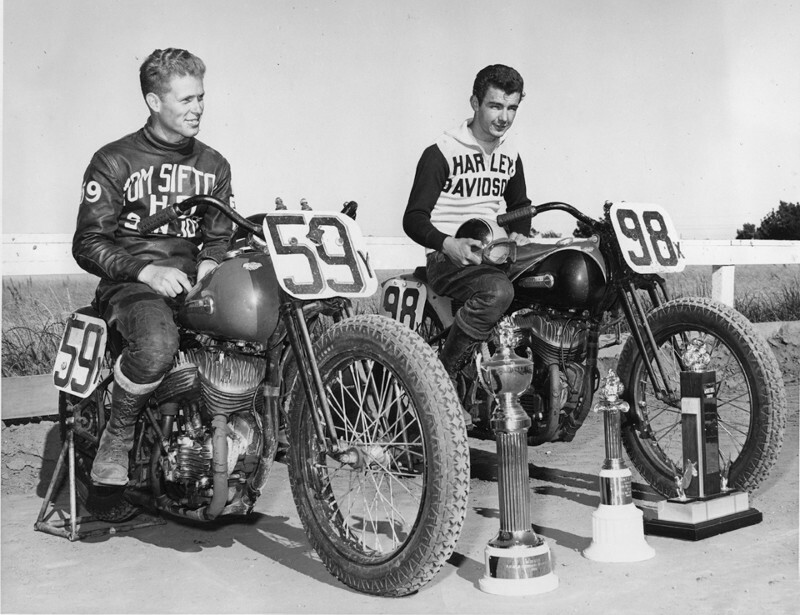 In 1950 Larry Headrick, riding a WR prepared by Tom Sifton, won all three AMA national mile races to gain the coveted No.1 plate before a crippling street accident shattered his left leg. Headrick, at 30 years old with a bad leg and four children to feed, decided to give up racing. He will always be remembered for that one shining season in 1950 when he was the best rider in the country. 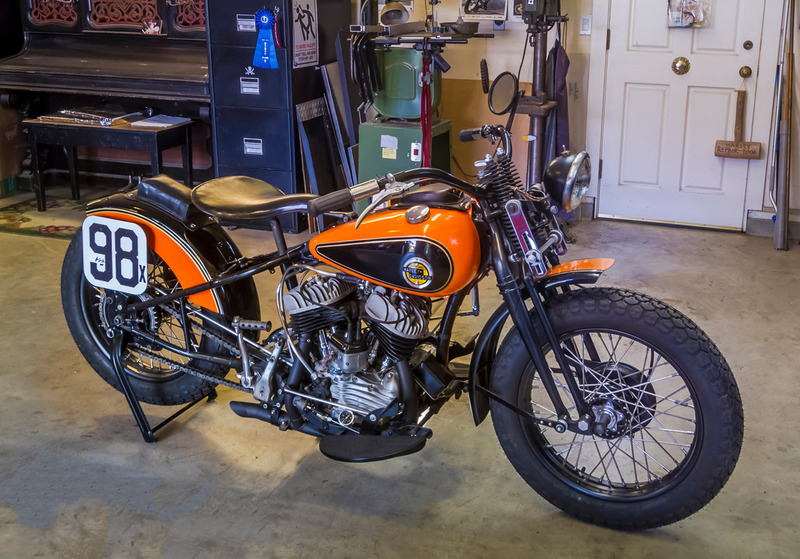 Fortunately for Harley racing efforts, earlier in 1949, at the insistence of Tom Sifton, a talented newcomer was given a trial run on a Sifton Harley WR. The new team member was named Joe Leonard. Eventually an American AMA and Indianapolis Racing legend, Joe began his career riding Triumph. Seeing how strong, fast, and fearless he was, Tom felt the young rider had potential. 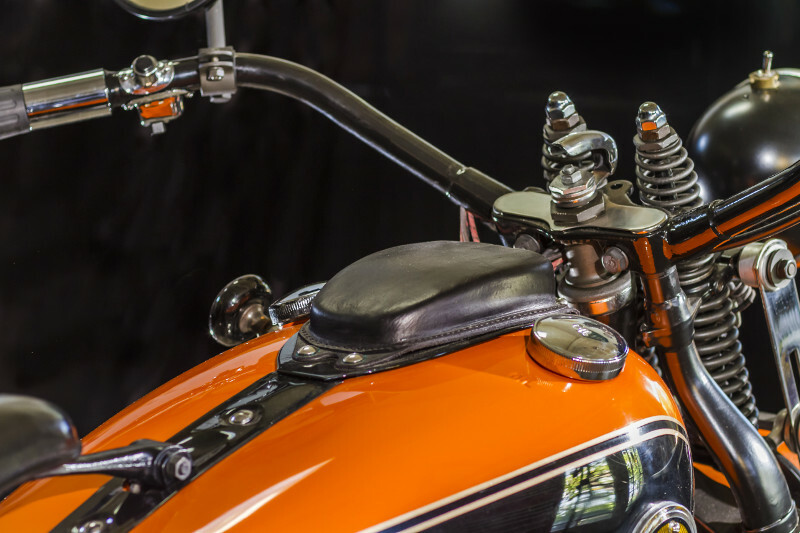 Joe’s big break on the Sifton Team came as a result of two tragic incidences: an injury to Al Rudy that started Larry Headricks on his amazing but short lived career and Larry’s career ending accident. Sifton recognized Leonard’s raw talent and hired him to ride for his team. 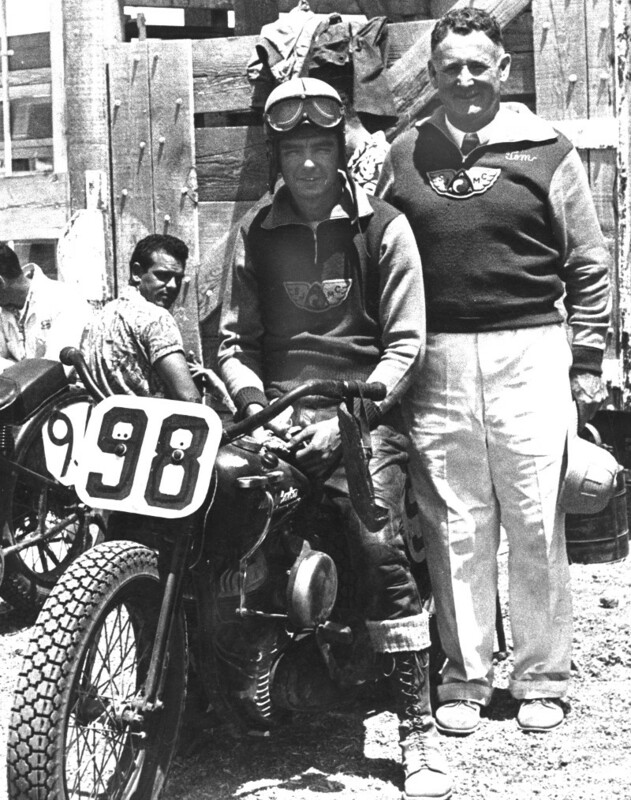 Leonard would later say that the day Sifton hired him was one of the most exciting days in his racing career. In the early 1950’s, Joe Leonard and Tom Sifton’s shop dominated the National Championship Dirt Racing circuit. 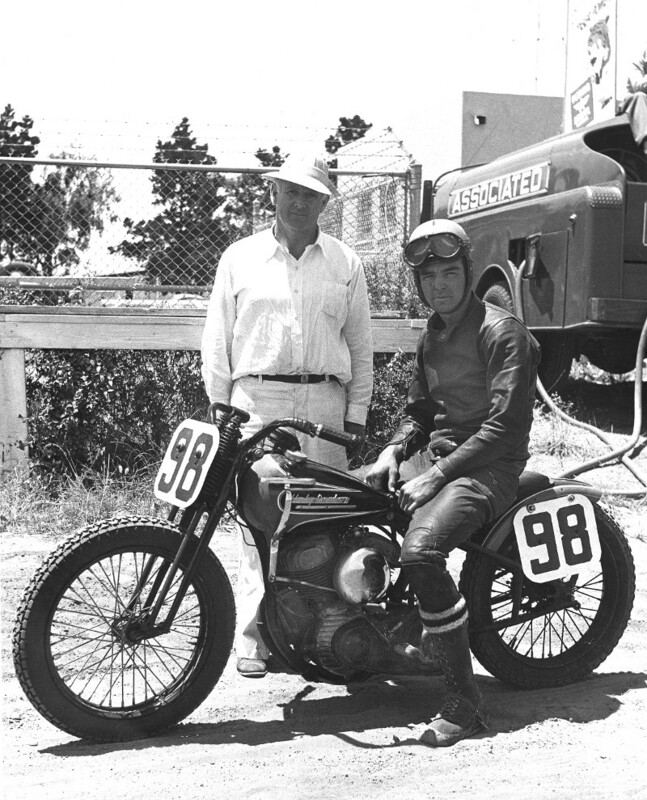 Using Harley-Davidson WR/WRTTs built and tuned by Tom Sifton and Charlie West, Joe Leonard was the scourge of the nation’s half-mile, one mile, road racing and TT tracks. 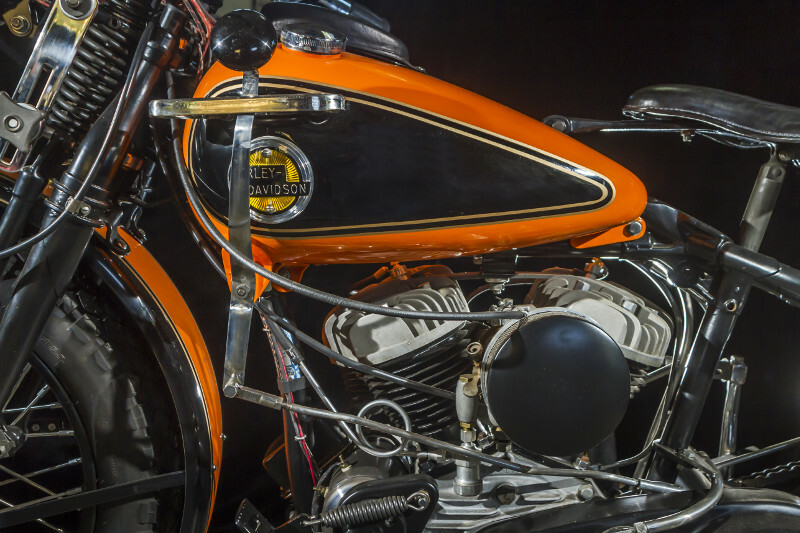 To this day the Harley Davidson WR was and still is considered one of the best racing motorcycles ever built. Sifton WRs, from Rudy to Headrick to Joe Leonard, were the bikes to beat. I’m a graphic designer in the San Francisco Bay Area, a previous effort of mine is here: http://cyrilhuzeblog.com/2010/06/23/from-a-1915-cyclone-to-a-2010-psyclone-half-a-million-dollars-saved/. 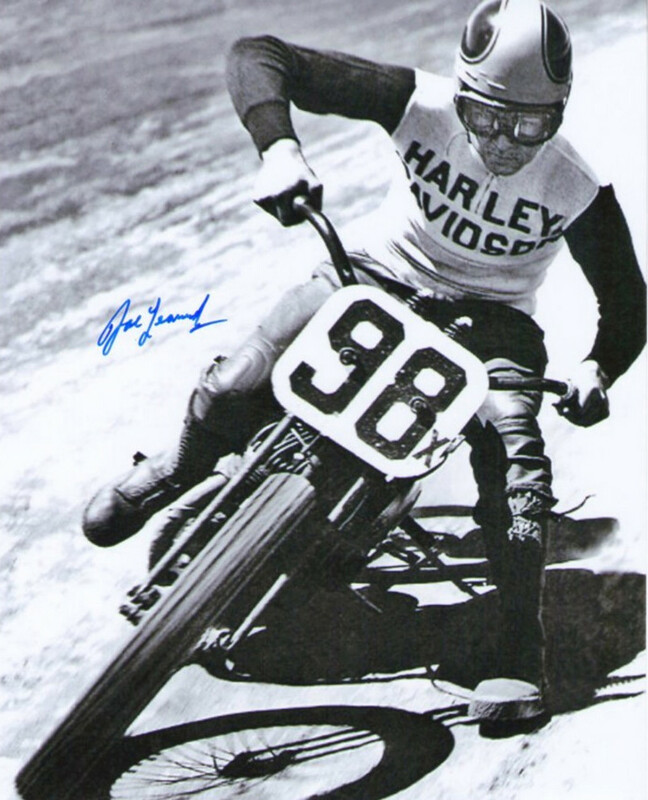 I worked for Larry Headrick before his death in 2007 and rode off-road with his son Jerry, all the while ignorant of the history of his dad’s racing years and the motorcycles he rode. Years later I met Larry’s teammate Joe Leonard, currently chief grill tender at the local Barnaby’s Machine Shop “On any Wednesday” BBQ and bench race sessions, where I also met Al Rudy’s son Chris, who would occasionally bring his dad’s old WR racer as it was being restored. It was then and there, listening and absorbing, I fell in love with the spindly, brutally simple, and no-nonsense WR racers. The attraction was magnified by an opportunity to acquire a near derelict WL from a friend. 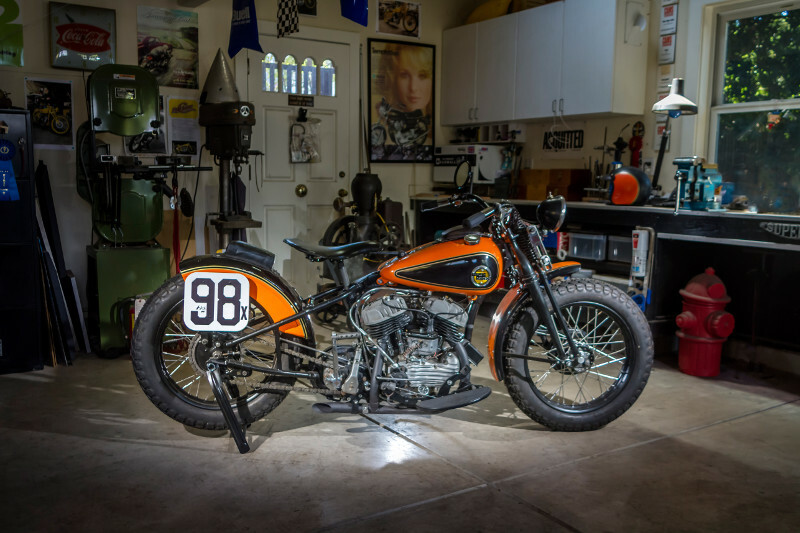 No stranger to building motorcycles from scratch, the decision was made acquire it and build a WR racer of my own, albeit rideable and street legal as a tribute to these local legends…specifically Joe Leonard’s Sifton number 98x. My soon-to-be period correct racer arrived in California as a brutally chopped and raked 45 WL Solo model, acquired from an internet auction site. 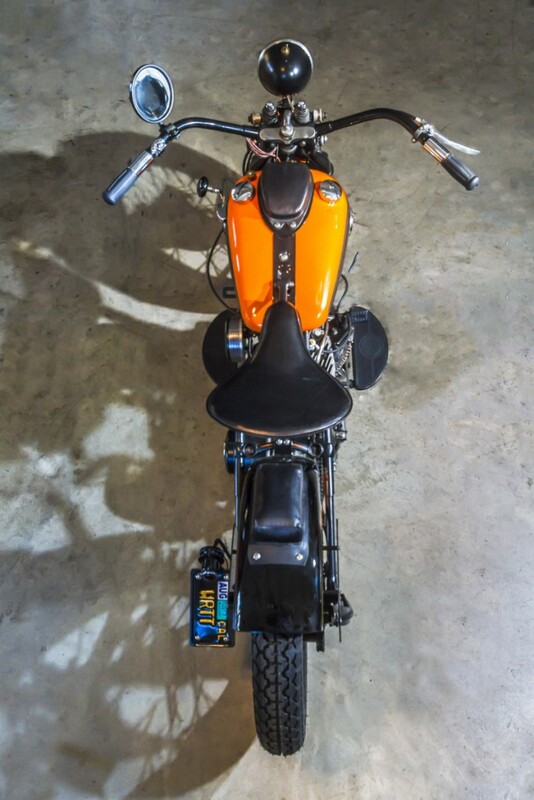 It arrived running but it had its problems… Besides its chopped and mangled frame and rare 1-year-only butchered and stretched BT UL forks, it sported an anachronistic 21” mini-braked front wheel and a UL rear 16″ rim running reversed. It was a disaster and while sad to look at, had distinct possibilities. I took over the project. 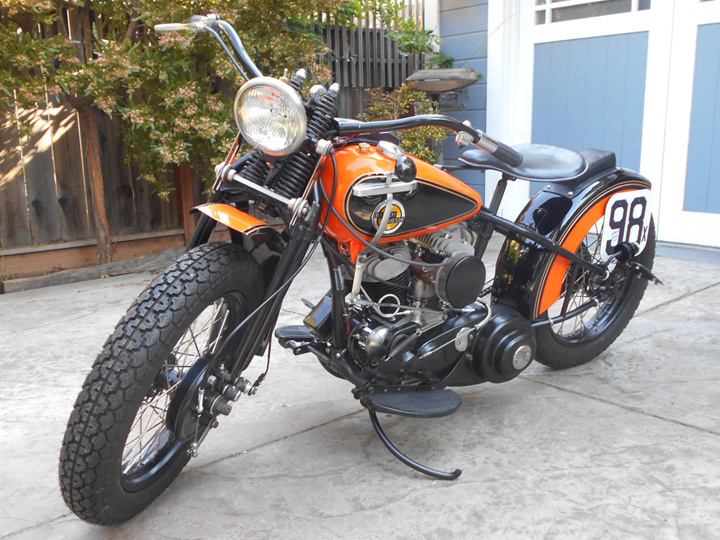 Although its incorrect ‘53G servicar motor was running, the bike overall was too violated to be restored as a concours bike, making the decision easy to emulate the 45WR on which Joe Leonard started his amazing career and with it create a tribute to him in the form of a re-creation of his Sifton racer in WR/WRTT trim. 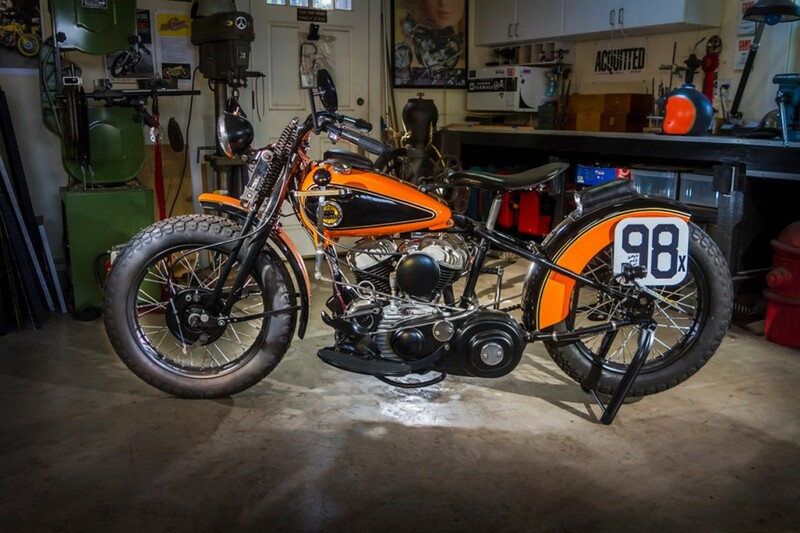 After an intense hunt for images of the the Sifton WRs including Joe’s original racer, several interviews with Joe Leonard later and receiving his approval for the project, the bike was disassembled entirely. 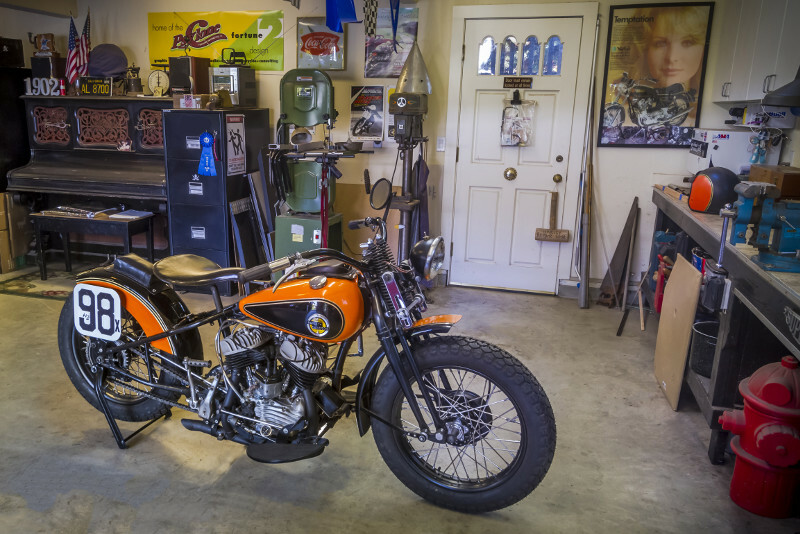 And the long slow process of finding, repairing and refinishing all the missing pieces began…the frame was repaired and straightened, the correct OEM front forks, correct front and rear hubs and everything in between, above and below was eventually found. In some instances the correct quality parts were simply not available, especially reliable hardware, so quality reproduction parts were sourced. The usuable but incorrect parts were sold online, in part funding whenever possible the OEM bits and pieces needed. The rare BT forks even though literally butchered had value and they and the 21” front rim and brake were traded for used OEM parts. The motor and transmission were pulled to be checked over and when pronounced alive, the motor was spruced up with new rings, valves lapped and high compression aluminum heads added. The transmission required new clutch pressure plates and springs but other than a deep clean, both components were readied. 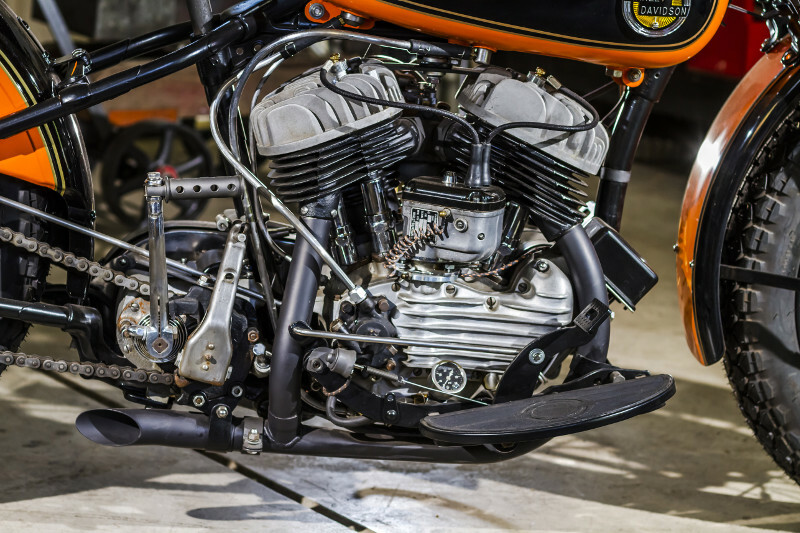 The springer forks that came on the bike, though hacked back to the the correct length, were deemed inappropriate as well as unusable…they had the wrong taper, were off a one-year-only big twin so had the wrong diameter neck bearing shaft plus the fender and brake stay tabs had been ground off completely. 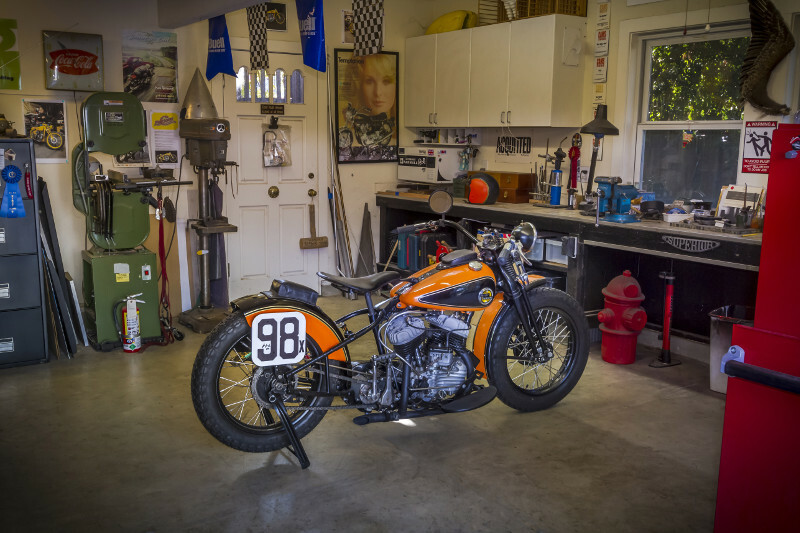 In casting wide for the correct forks as well as sources for OEM parts I stumbled across a local collector, Cannonball regular and antique motorcycle guru, Doug Feinsod of Santa Cruz Vintage Cycles, without whom the 45 would still be in boxes. 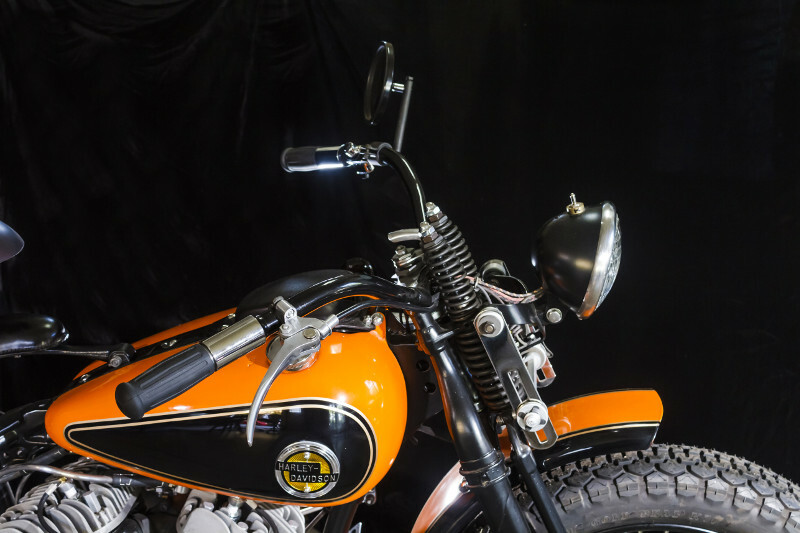 Besides supplying no end of technical advice to a vintage newbie, Doug supplied me with correct year forks, brake assemblies, hubs, bearings, exhaust header, pillion pad, and an appropriate set of tanks for the project to replace my mangled, mismatched bondo-slathered tanks. 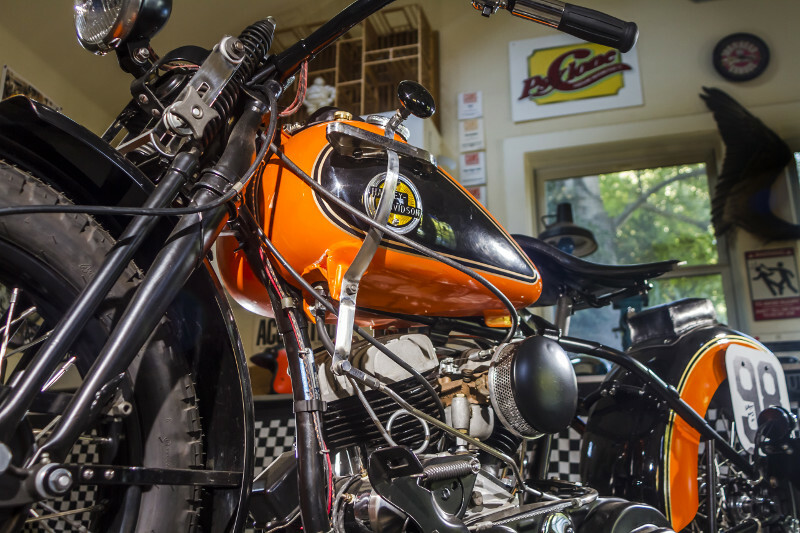 The repaired but still damaged frame went back to the Puccio’s (of Ack Attack fame) frame shop for further straightening, drilled holes welded shut, and missing tank mounts and centerstand tabs recreated. With the frame complete, everything went to the powdercoater for an application of satin black. On return the motor and transmission were slipped in, correct 18″ steel rims were acquired and laced by Banke Performance to the newly refinished OEM hubs with stainless spokes from Buchanon. The rebuilt OEM forks were installed, and Dunlop K70s tires selected for a gnarly vintage look. The WRTT racer was unique as it sported a front as well as a back fender, the rear bobbed at the hinge area. It offered a front brake as well as the rear, footboards, a rear pillion pad and a chin pad replacing the WL’s speedo and dash assembly. This bike came to me with a narrow saddle, cosmically the correct narrow width for a WR. It was sent out for expert recovering by Antique Motosmith in Oregon. Electrics came next and as the bike is intended to be street legal, making a functional head/tail/brake light set up was critical. A side-mount licence plate bracket topped off by a vintage brake light was fabricated and mounted. The motor’s generator turned out to be a nearly new aftermarket 12v set up, so a solid state generator endcap regulator was installed and an old style regulator assembly gutted and refitted to the original spot on the front of the motor now housing a bare bones junction block, battery capacitor and fuse. Vintage cloth covered wiring was sourced and everything wired in, the wiring matching the reproduction handlebars and controls acquired. A WL pull type brake light switch finished off the elemental electrical system. Next the tins were sent out for paint and pinstiping. 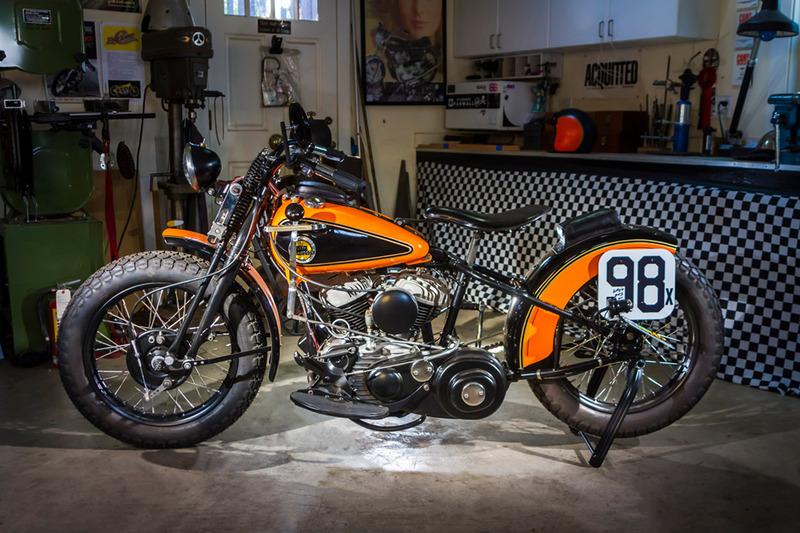 In looking closely at the vintage photos and talking to Joe, I learned the Sifton bikes had several different tank paint schemes so I figured I’d be safe picking one of Harley’s stock black and racing orange schemes from the era. And since I didn’t have the exact correct year tanks anyway, no purist toes were stepped on any harder than necessary. While the tins were out for paint the controls were installed…foot clutch, front brake, and both throttle and advance/retard cables. The throttle stumped me, the Tillotson carb being set-up for a pull open and the repro handlebar throttle set up for push open. That was solved by a reverse spiral which was acquired (as was most of the hardware needed) from Wendy at Flatland Motorcyle. The magneto control twist was different. The bike came with a Fairbanks Morse mag locked down in a crude homemade motor mount. 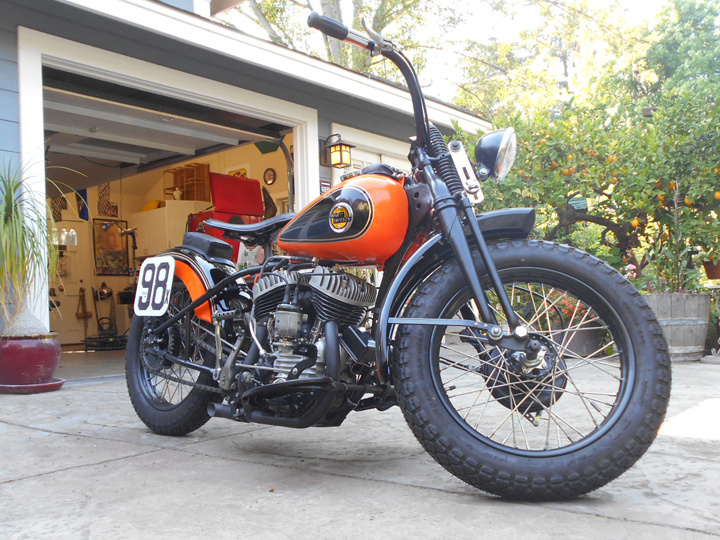 Some diligent searching found a Fairbanks Morse collector who had one from an early Ironhead Sportster motor that would do the trick. That and the correct rotator control plates for early Sportsters allowed me to end up with a left wrist controlled advance/retard set up running the mag rather than the stock WL’s timer/distributer. 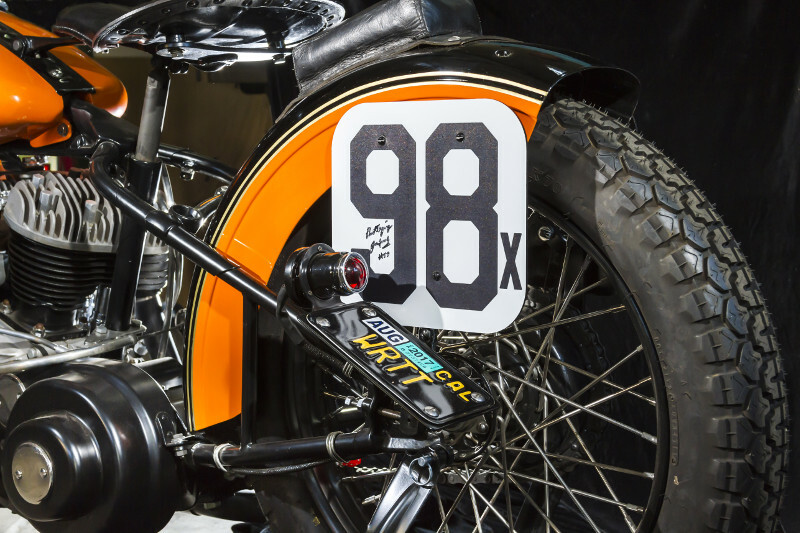 Joe’s number plates 98x were recreated exactly from found photos, signed by Joe and were mounted when the tins returned. 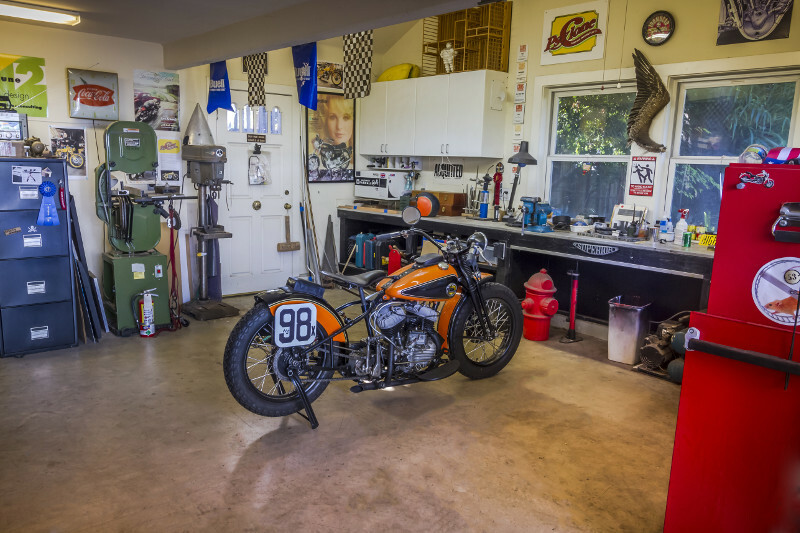 The bike was finished in time for its debut at the 2016 Quail Motorcycle Gathering where it was well received, gathering a steady stream of photographers and videographers including a team doing a documentary for the Discovery Channel. Immaculate survivor from the past. Respect for that project with more than a soul in background. love that approach on designing such a tip. Great job. love to have one home !